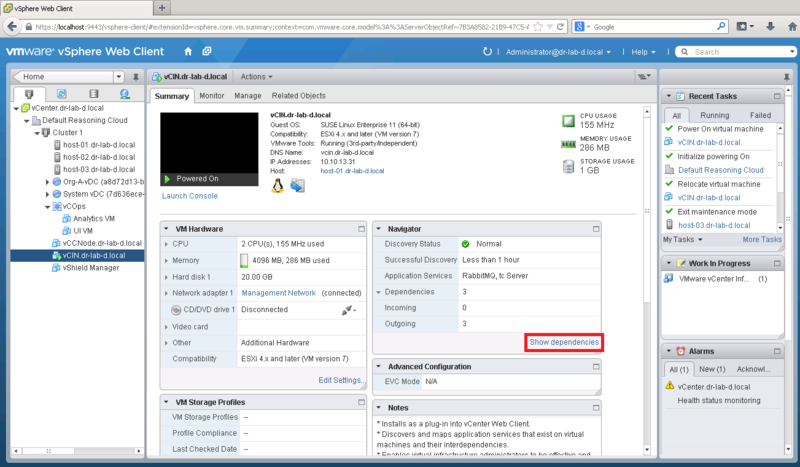 In the previous part we have deployed the vCenter Infrastructure Navigator virtual appliance and licensed it with a license key. In this part we will continue with configuration of the appliance. 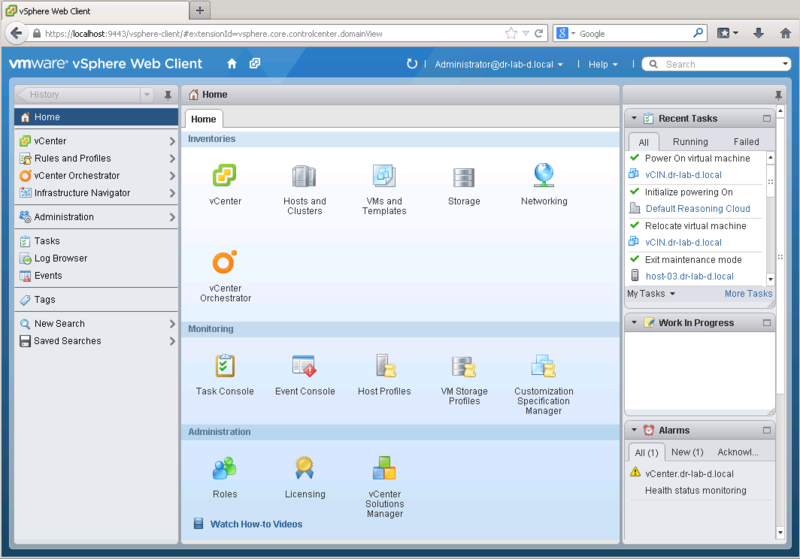 The vCenter Infrastructure Navigator installs as a plug-in into the vCenter Web Client so in order start using it you have to open the vSphere Web Client. Open the vSphere Web Client and login with your administrator account or if configured, use the SSO sign on. You should now see the Infrastructure Navigator option on the left side under the Home pane. Click the Infrastructure Navigator link and on the Settings tab, verify if the vCenter Server is the one you want to connect. 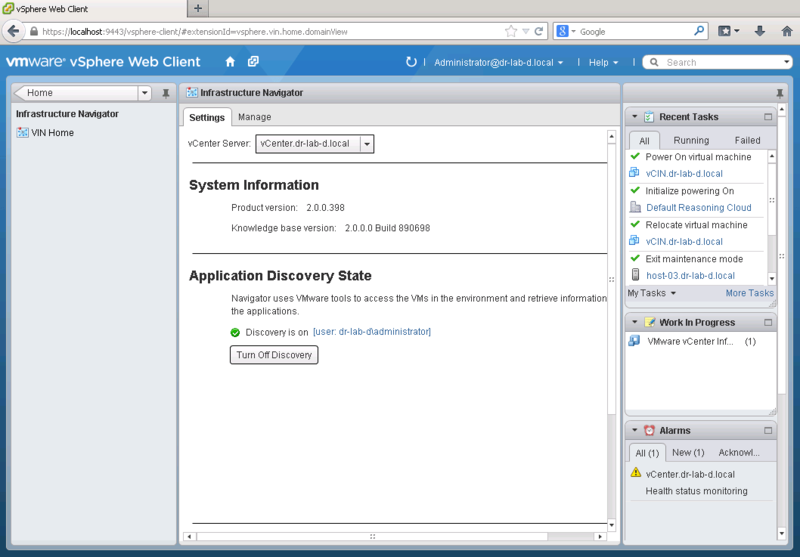 Next, click Turn On Discovery and enter the username and password for the vCenter Server mentioned above. Click OK. When you finish, the discovery should now be on. The discovery process can take some time to complete. When it’s ready you should now see additional information on discovered assets in your environment. 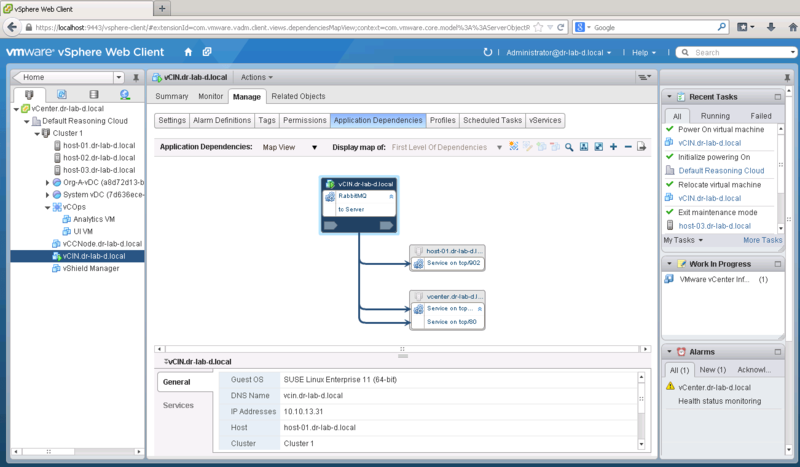 In order to view application dependencies of a particular virtual machine, select the virtual machine, in this case the vCenter Infrastructure Navigator and click Show dependencies under the Navigator menu. A dependencies map will be shown for this particular virtual machine. You can also switch to a table view, manipulate the view and see additional information of a selected component under the General and Services tab. 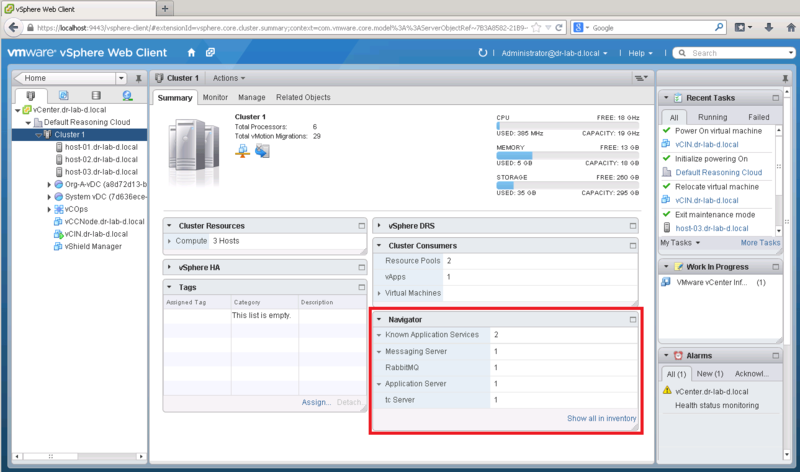 This concludes the vCenter Infrastructure Navigator part of this Proof of Concept series. Continue to the final part of this Proof of Concept for some final thoughts and conclusions.